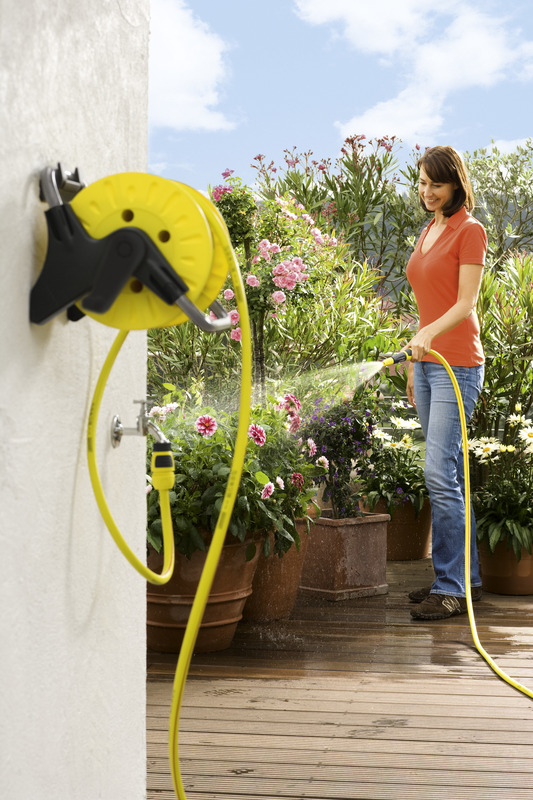 Hose reel HR 25 Promo 26451180 https://www.kaercher.com/my/home-garden/watering-systems/hose-storage-and-hose-trolley/hose-reel-hr-25-promo-26451180.html Convenient helpers for gardeners. Kärcher's innovative hose stowage system set new standards in functionality, design and quality. 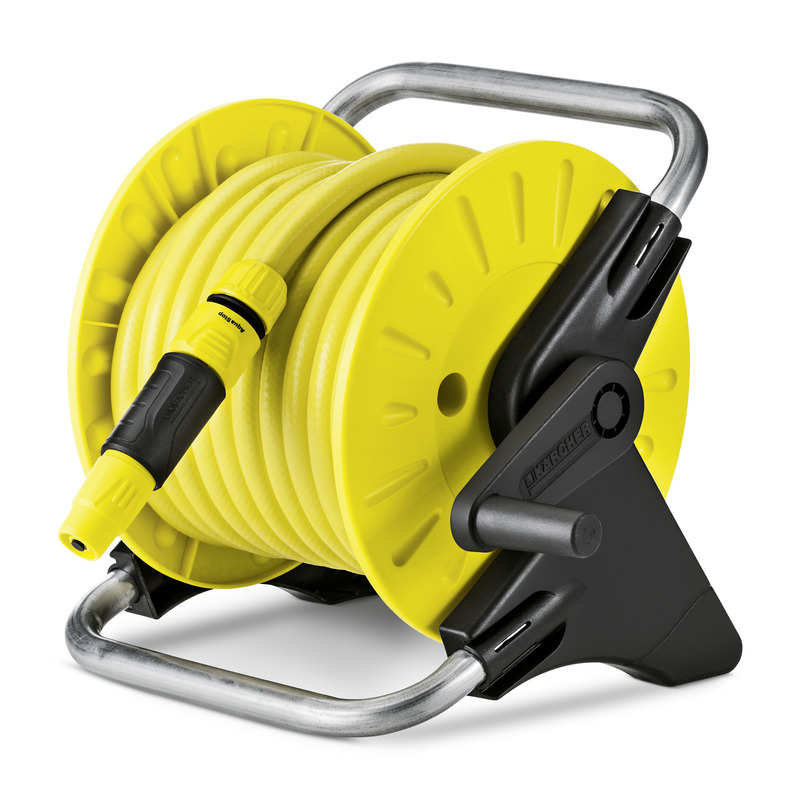 State-of-the-art hose reel carts allow quick and easy unwinding and rewinding of hoses and take up a minimum of space. 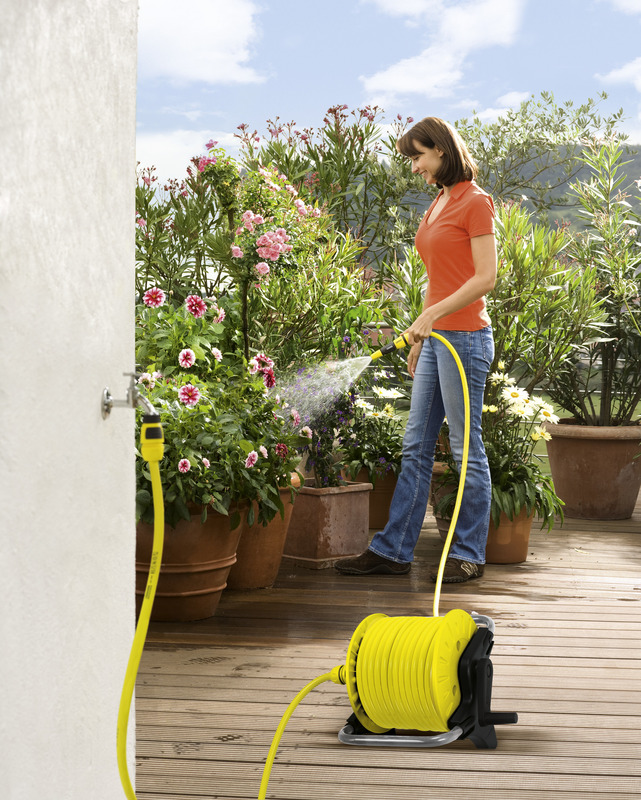 They are available in 2 variations: mounts of plastic, with fold-down push handle and ready to use (Kit-version with hose and equipment) or as a high-quality, robust metal version. Another advantage: They are compatible with all available click-on systems. Convenient helpers for gardeners. Kärcher's innovative hose stowage system set new standards in functionality, design and quality. 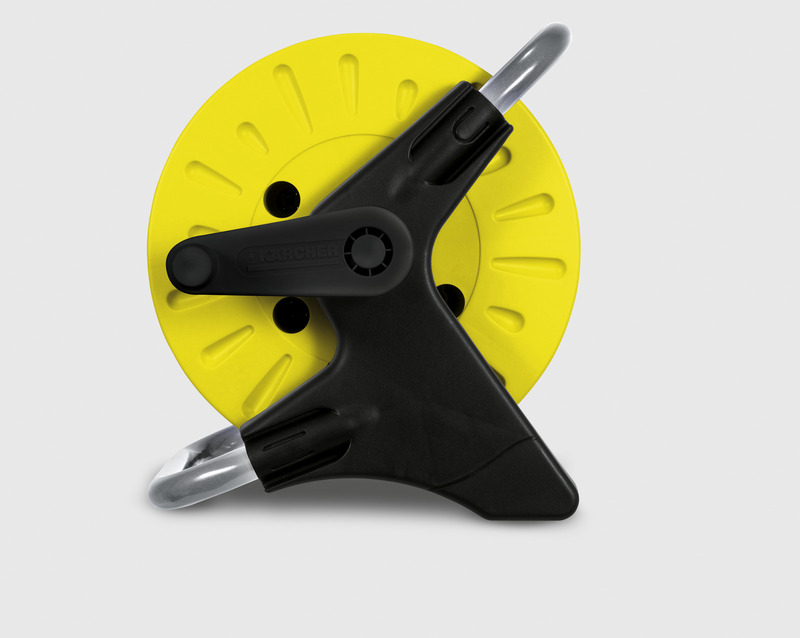 State-of-the-art hose reel carts allow quick and easy unwinding and rewinding of hoses and take up a minimum of space. They are available in 2 variations: mounts of plastic, with fold-down push handle and ready to use (Kit-version with hose and equipment) or as a high-quality, robust metal version. Another advantage: They are compatible with all available click-on systems.